Whatever the reason you want to honor the man in your life, give him tungsten or Vitalium rings. They convey strength, style, and sophistication. Not just any man wears these metals. It takes a man with character. A man who is not afraid to step away from the crowd and go his own way. When you give the man you love a ring of tungsten or stainless steel, it hints of an unbreakable bond. It also says you respect him and what he does. Men who wear tungsten and Vitalium rings are fashion forward while not even concerned about fashion. It's the perfect gift for the confident, competent man. Tungsten is the Earth's hardest metal, so jewelry made from this metal will last forever. Plus it never loses its sheen. It's durable and designed to handle the toughest tasks. Whether it is a wedding ring, an engagement ring, or simply a token of love and commitment, tungsten is the ideal choice. Oh, that all relationships be as strong as tungsten. 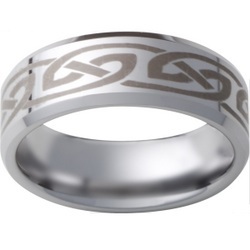 Giving an attractive tungsten ring embraces and personalizes that sentiment. 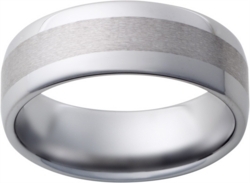 We have an array of modern, stylish, hypoallergenic tungsten rings in a wide range of colors from which to choose. Men like tungsten rings because they look good and can stand up to anything they might encounter. Its legendary durability makes it perfect for a man's man. A man whose life has action and adventure and being with them is a stimulating experience. Tungsten rings are versatile. They look good no matter what you're wearing. You'll fit in just as easily at the opera as at the ball game. There's been a resurgence of tungsten rings in the past decade as people have once again begun to choose substance over style, reality over superficiality. 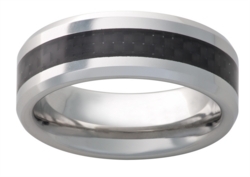 Tungsten rings are authentic and earthy. Vitalium rings have also had a surge in popularity recently and with good reason. They're beautiful, do not tarnish or oxidize, and can stand up to lots of wear and tear and still look good. Plus they're bio-compatible and hypoallergenic, so Vitalium rings are ideal for people with sensitive skin. Vitalium rings are in demand as a fashion accessory because of their sleek, contemporary styling and their ability to look good with anything in your wardrobe. They also feel great and practically never need to be cleaned. When you buy a Vitalium ring, it feels like platinum, looks like white gold, and reflects light like silver. If you want a piece of jewelry that can be passed down in the family for generations and still look as good as the day you bought it, invest in a Vitalium ring. These timeless pieces have the tone, texture and understated brilliance that men appreciate and women love. That's because Vitalium has high esthetic value. It's an exquisite piece of jewelry that any man would love to own. From our store in Liverpool, N.Y. we can help you select the perfect tungsten or Vitalium ring for the man in your life. You don't have to spend a lot of money to show him that you care. Instead, give him a gift that will last a lifetime. 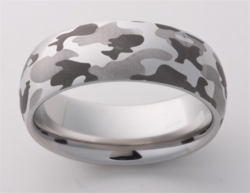 Tungsten and Vitalium rings are a common accessory worn by confident, fashionable men. We offer the highest quality, most innovative designed Vitalium and tungsten rings in the industry. Whether you shop at our store in the Syracuse, NY area or visit us online you will get great prices and even better customer service. Contact us today.